Richard Reid and his Direct Link Realty team are hands down he BEST real estate group with whom I have ever worked. When I moved to GA four years ago, I was relatively new to real estate investment. I flipped and sold two prior properties in another state, and wanted to continue doing so while in GA, but had to make sure I made the right investments and didn’t take on anything I could not handle (I have a full-time healthcare career, so all investment property work comes secondary to that). Richard took the time to get to know me and my real estate investment goals, and understand my limitations as a buyer and flipper. He educated me on Atlanta’s many sub-communities and outlying cities, and provided comprehensive support throughout each property search, contract negotiation and closing process. Richard remained of great utility after each home purchase, as well. He networks with top-notch contractors and service companies, which made outsourcing various renovation projects stress-free. I knew I could trust anyone he referred, which meant everything to me since these properties were investments for my future. I also relied on Richard’s advice when trying to determine whether to sell or rent a property based on market and economic projections. Despite recently returning to my home state, I continue to rely on Richard to help me find vacation rental investment properties in GA and FL. This man is a one stop shop! Overall, with Richard Reid’s support and guidance, I have maintained a diverse portfolio and profited very well on multiple flip and rental properties. I have sent multiple friends and colleague to him for home purchase and rental needs, as well. All have given me the same feedback regarding their experiences. I feel very fortunate to have found Richard and his top-notch Direct Link Realty team, and am confident anyone working with them will feel the same. Richard helped us find our home in Morningside. As first time home buyers we had lots of questions & concerns, Richard went above and beyond to help us find the perfect house for us. In all our years of selling and buying homes Jennifer Reid was absolutely the best agent we have ever used. She was attentive to our needs and always available and willing to look at houses on any given day. We sold our current home within a week, having 3 offers for full asking price. She was the best advocate for us, a great negotiator and was with us every step of the way through and even after closing on the new home we purchased even after our closing date! 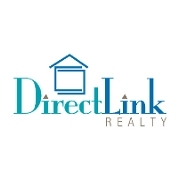 Choose Direct Link Realty for all your home selling and purchasing!! I provide my very strongest recommendation possible for Richard and would use him again in a heartbeat if the need ever arose. He made the rather arduous process of buying and selling homes rather painless. On the buying side, Richard has extensive knowledge of neighborhoods in Decatur and surrounding metro Atlanta. He listens carefully to his clients' needs and does an remarkable job targeting properties that fulfill the required criteria. He also has great ideas on how to transform the exterior and interior of existing properties to maximize the buyer's enjoyment. He is diligent in checking e-mails and voicemails and returns queries in rapid fashion. On the selling side, Richard had great ideas on how to stage our property to maximize interest from potential buyers. He provided sage advice on handling and deciding among offers and was with us every step of the way through the convoluted closing process. He is truly fantastic. I can't recommend him enough. Richard has assisted my wife and I with 3 real estate transactions over the past 3 years in the Atlanta-Midtown area. He is detail oriented, highly responsive and extremely knowledgable. Most importantly, he offers candid advice with negotiating price and will stay by your side throughout closing day. Richard Reid is the most effective real estate broker I've ever worked with over 30 years of various real estate transactions. He's available almost 24/7. He's negotiates fair and hard for whichever party he represents, in my case, the buyer. He saved me thousands on the purchase price and concessions from the seller. He gave sound advice in inspections, appraisals, and financing. And he understood what my both practical and emotional needs in a home were but took the time to show me areas beyond my focus just for the learning experience, and added to my ability to judge better the house that we acquired. I say "we" because it team work in its best form. And his follow up was well above average on details of utilities, etc. Highly recommend him for Atlanta home purchases, especially inside the perimeter.